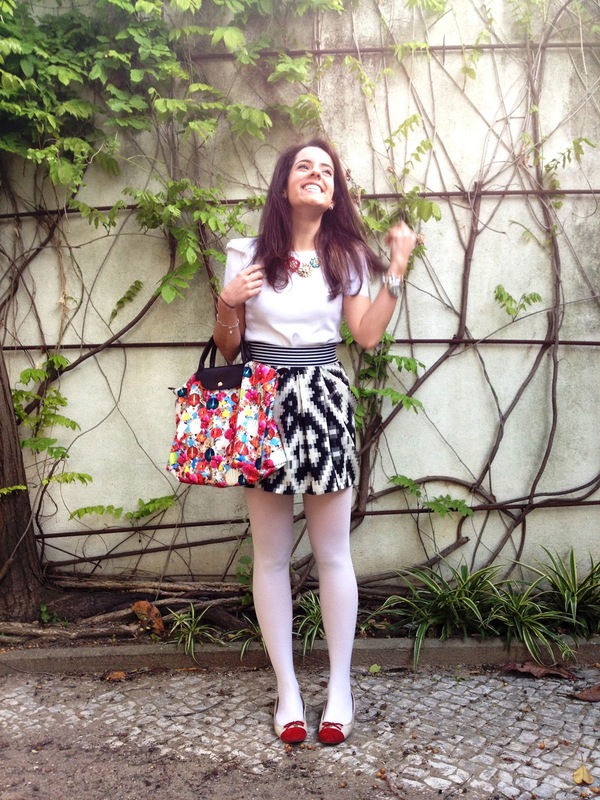 Beautiful look and blog ! Would you want to follow each other ? This is such a cool print. love the skirt. I love your optical skirt!!! You're so nice Leonor! You have a contagious smile!! cute look, LOVE your skirt! 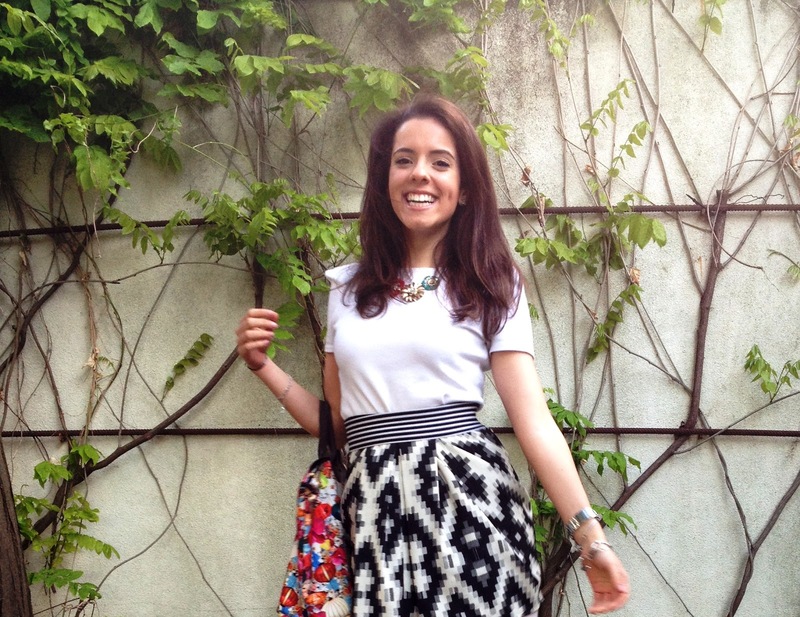 Love the pattern mixing you got goin' on - so cute! The white tights matched perfectly with the whole outfit! Love the necklace and skirt! Super cute look! Loving that skirt and blazer! lovely outfit and pictures ! I love your skirt and blazer! your skirt is adorable! i love the print so much! I have to tell, really don't like white tights... but the rest of the outfit is very cute! I love the skirt! such a cute outfit. The skirt and flats are beautiful! I adore the skirt - a really great look!